In the spring of 1993 US President Bill Clinton nominated Sheldon Hackney for the position of Chairman of the National Endowment for the Humanities. As a result, on 23 April 1993, Hackney announced his resignation to the Trustees, effective 30 June 1993. The Trustees realized the need to act quickly in finding an interim president to successfully fill Hackney’s shoes. They therefore elected Claire Fagin, Dean Emerita and Leadership Professor in the School of Nursing, to a one-year term as Interim President of the University. 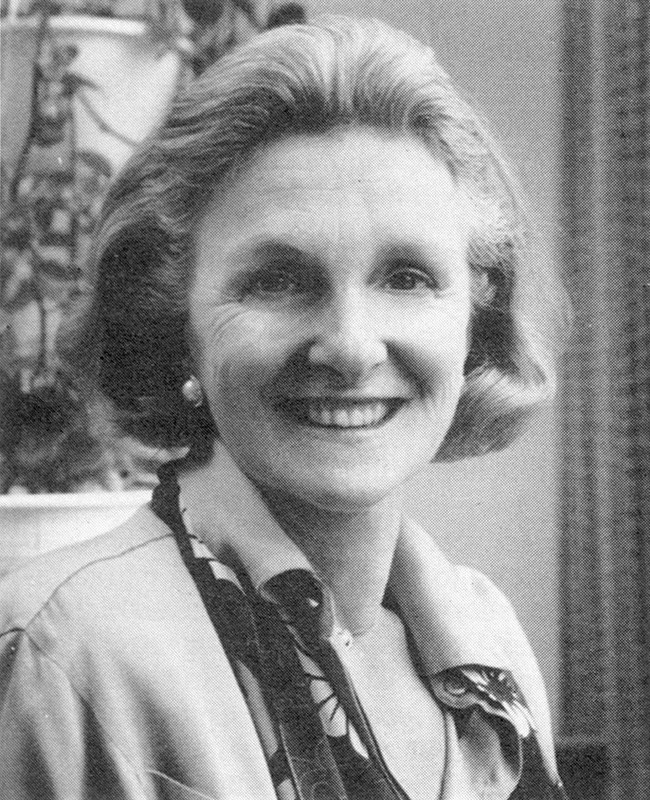 Dean from 1977 to 1991, Fagin brought Nursing Education to the forefront at Penn, making the University’s program number one in the country. In 1978 she won approval for the Ph.D. program in nursing that she had also developed. Although Fagin knew she would serve as President of the University until a permanent replacement for Hackney could be found, she worked hard not only to continue the standards of excellence of the Hackney era, but also to further the development of the University. On 18 June 1993, less than two weeks before his tenure was to end, Hackney announced to the Trustees plans for a Commission on Strengthening the Community. The Commission, chaired by Trustee Dr. Gloria Twine Chisum, was charged with assessing the status of the shared Penn community by engaging all members of the community, including faculty, staff, and students. 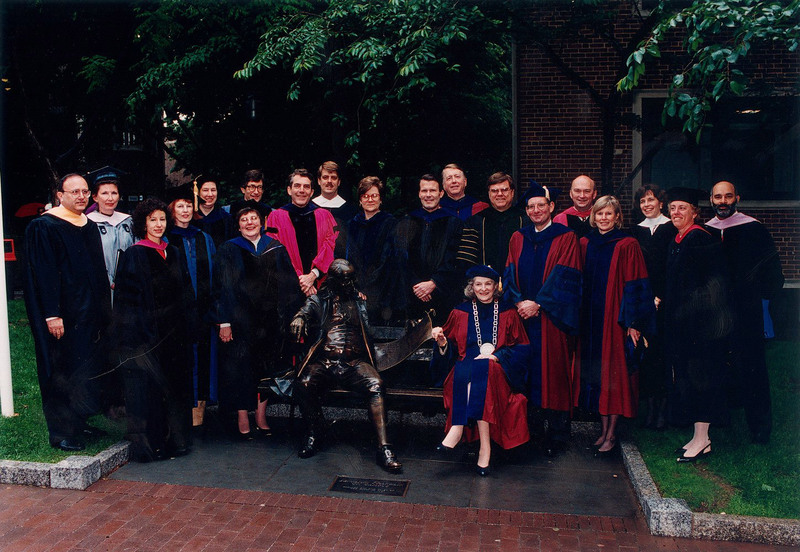 When Fagin assumed office on 1 July she made, “the strengthening of our Penn community the highest priority of my presidency.” As a result, the Commission worked throughout the 1993-1994 academic year, utilizing open forums, small focus groups, and broad surveys on University opinion regarding free speech, race relations, and sexual harassment. The Final Report of the Commission on Strengthening the Community was released in April 1994. The Report made suggestions for rebuilding various aspects of the Penn community while also offering ways in which the various parts could better come together. The Commission treated conduct, faculty roles and responsibilities, academic issues, residential living, the general campus environment, communication, and quality of work life. 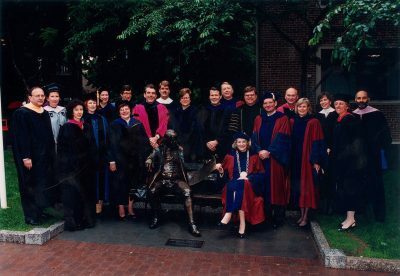 Some of the more significant contributions of the report included its recommendations for revising the Charter Code of Academic Integrity (1991), for rescinding the racial harassment policy and replacing it with a student-written student code of conduct, and for continuing efforts to diversify Locust Walk. While Claire Fagin only occupied the presidential office for one year, her contributions to the University were quite significant. By investing a great deal of energy in the Commission on Strengthening the Community, she did just that. She effectively realized Hackney’s vision for further developing Meyerson’s “One University” and also set the stage for the shrewd and forward-looking strategic planning of the Rodin era.